I would hate to be living in Syria right now. Unfortunately the conflict is really a puppet show between Western powers such as the EU and the United States against Eastern powers such as China, Russia, and the Syrian government. Backers are sending weapons to their respective side, and as the weapons increase in number and power more civilians are bound to be slaughtered. Perhaps this is a testing ground to see how strong each governments’ resolve is, or perhaps it has more to do with resource/land control. In terms of military interests I can see controlling Syrian ports to be vital for the US/EU to deliver supplies to the region from the Mediterranean Sea, while Moscow sees Syria as the largest purchaser of its weapons and potential ally. Assad himself is making his stay (in his country and as a mortal being) a near impossibility with the brutal non-discriminate killing of civilians – just yesterday his regime sent a band of thugs into Jobar after shelling the town from end to end with mortars to kill men, women, and children on the street and in their homes. While this method is similar to methods used in the ancient times (think Assyrian Empire), today with internet and easily accessible recording devices (smartphones) all of this is really going to smash right back in his face and kill him – and his treatment of civilians has been worse than Gadhaffi’s! The Syrian government (the Assad family) is simply doing things worse than Gadhafi’s Libya, but unfortunately is not getting as much pressure from the UN, NATO, or the United States to stop its murder and torture of innocent civilians. 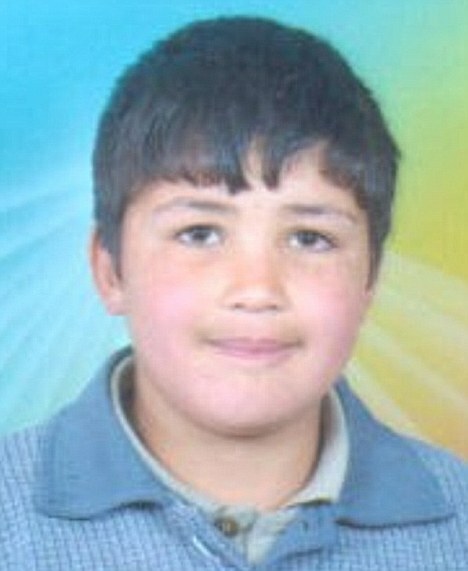 A 13 year old boy named Hamza al-Khateeb was captured by Syrians forces, detained for a month, and just released back to the family as a bloated corpse with multiple bullet holes and mutilation marks including the cutting out of his reproductive organs. What kind of sick bastards would do this kind of thing? Well, apparently the Syrian government. A video has come out showing the gruesome details of how Hamza was tortured to death, and has further incited those who wish to overthrow this corrupt and apparently evil regime. Foreign journalists are banned from Syria; anyone attempting to film or otherwise report on events since mid-March has been subject to arrest and torture by government forces. For this reason less coverage is available then was available in Egypt or Libya. The Assad family finances should be frozen immediately, and diplomatic relations should cease.